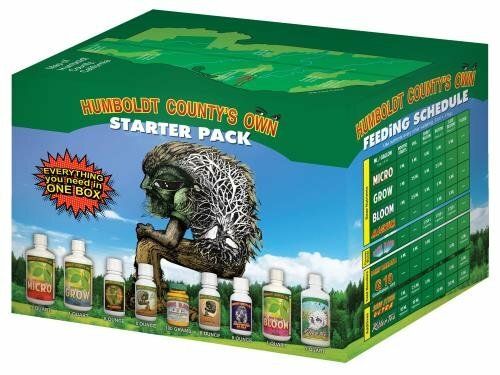 If you're new to growing or you've tried some of our products and want to discover what makes us unique in the industry, then check out our Starter Pack. We strive for quality, yield and simplicity and our Starter Pack says it all. You get our complete line except for Crystal Burst and Purple Maxx. That's right, our whole line is just nine products. Includes: Quarts - Deep Fusion Micro, Gro, Bloom and Killer Tea, 8 oz - Deep Breath, Snow Storm Ultra, G10, Magnum and 100 gm - Sonic Bloom. If you have any questions about this product by Emerald Triangle, contact us by completing and submitting the form below. If you are looking for a specif part number, please include it with your message.